Research Scientist at CESR since 1995. "Spectroscopie de molécules aromatiques. Test du modèle PAH en astrophysique"
Interdisciplinary study of the physics and chemistry of interstellar dust and molecules with special interest in polycyclic aromatic hydrocarbons (PAHs). Approach combining astronomical observations and laboratory studies. Astronomical observations: Multi-wavelength spectroscopy. Spectro-imagery of photodissociation regions. Observations using space observatories and ground-based telescopes. Leader of the laboratory experiment PIRENEA, Piège à Ions pour la Recherche et l’Etude de Nouvelles Espèces Astrochimiques, an original set-up dedicated to the study of the photophysics and chemistry of macromolecules and nanograins in interstellar and circumstellar conditions. Co-Investigator of the heterodyne spectrometer HIFI of the ESA Herschel space observatory (launch 2009) . Special interest in the physics and chemistry of photodissociation regions and the science dedicated to carbon macromolecules (identification of these species using the deformation modes of the carbon skeleton in the far-IR). 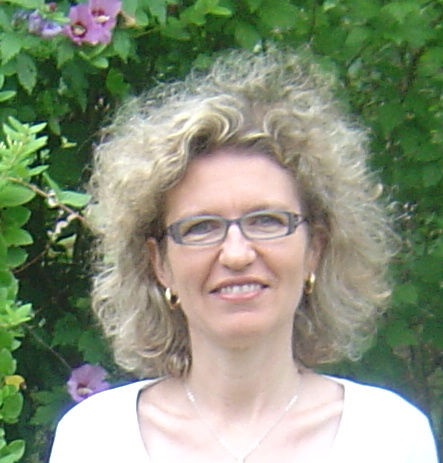 Leader of a "pluri-formation programme" (PPF) of Toulouse University and transverse scientific action of the Midi-Pyrénées Observatory, Molécules et grains : du laboratoire à l’Univers. Malloci G., Joblin C., Mulas G., On-line database of the spectral properties of polycyclic aromatic hydrocarbons, Chem. Phys. 332 (2007), 353. Malloci G., Joblin C., Mulas G., Theoretical evaluation of PAH dications properties, Astron. & Astrophys. 462 (2007), 627. Mulas G., Malloci G., Joblin C., & Toublanc, D., Diagnostics for specific PAHs in the far-IR: searching neutral naphthalene and anthracene in the Red Rectangle, Astron. & Astrophys. 456 (2006), 161. Mulas G., Malloci G., Joblin C., & Toublanc, D., Estimated IR and phosphorescence emission fluxes for specific Polycyclic Aromatic Hydrocarbons in the Red Rectangle, Astron. & Astrophys. 446 (2006), 537. Jolibois F., Klotz A., Gadéa F.-X., & Joblin C., Hydrogen dissociation of naphthalene cation : a theoretical study, Astron. &Astrophys. 444 (2005), 629. Abergel A., Verstraete L., Joblin C., Laureijs R., Miville-Deschênes M.A., The cool interstellar medium, Space Science Reviews, 119 (1-4) (2005), 247. Rapacioli M., Calvo F., Spiegelman F., Joblin C., Wales D.J., Stacked clusters of polycyclic aromatic hydrocarbons molecules, J. Phys. Chem. A 109 (2005), 2487. Noel B., Joblin C., Maillard J.-P., & Paumard T., New results on the massive star-forming region S106 by BEAR spectro-imagery, Astron. & Astrophys. 436 (2005), 569. Malloci G., Mulas G., & Joblin C., Electronic absorption spectra of PAHs up to vacuum UV. Towards a detailed model of interstellar PAH photophysics, Astron. & Astrophys. 426 (2004), 105. Joblin C., Toublanc D., Boissel P., and Tielens A.G.G.M., Calculations of the far-infrared emission of C24H12 under interstellar conditions, Molecular Phys. 100 (2002), 3595. Pech C., Joblin C., and Boissel P., The profiles of the Aromatic Infrared Bands explained with molecular carriers, Astron. & Astrophys. 388 (2002), 639. Boissel P., Joblin C., and Pernot P., Singular Value Decomposition : a tool to separate elementary contributions in ISOCAM spectral maps, Astron. & Astrophys. 373 (2001), L5. Crété E., Giard M., Joblin C., Vauglin I., Léger A., and Rouan D., Grain populations in the M17 south-west star forming complex, Astron. & Astrophys. 352 (1999), 277. Joblin C., Salama F., and Allamandola L., Absorption and emission spectroscopy of perylene (C20H12) isolated in Ne, Ar, and N2 matrices, J. Chem. Phys. 110 (15) (1999), 7287. Joblin C., Which carriers for the UIR emission bands? Observations and laboratory simulations, Faraday Discuss. 109, The Royal Society of Chemistry, London (1998), p. 349. Joblin C., Masselon C., Boissel P., de Parseval P., Martinovic S., and Muller J. F., Simulation of interstellar Aromatic Hydrocarbons using Ion Cyclotron Resonance. Preliminary results, Rapid Comm. Mass Spectrom. 11 (1997a), 1619. Joblin C., Boissel P., and de Parseval P., Polycyclic aromatic hydrocarbon lifetime in cometary environments, Planet. & Space Sci. 45 (1997b), 1539. Joblin C., Tielens A.G.G.M., Geballe T. R., and Wooden D. H., Variations of the 8.6 and 11.3 µm emission bands within NGC 1333: Evidence for PAH cations, Astrophys. J. 460 (1996a), L119. Joblin C., Tielens A.G.G.M., Allamandola L., and Geballe T. R., Spatial variation of the 3.29 and 3.4 µm emission bands within reflection nebulae and the photochemical evolution of methylated PAHs, Astrophys. J. 458 (1996b), 610. Joblin C., Salama F., and Allamandola L., Photoinduced fluorescence from the perylene cation isolated in Ne and Ar matrices, J. Chem. Phys. 102 (24) (1995a), 9743. Joblin C., Tielens A.G.G.M., Allamandola L., Léger A., d'Hendecourt L., Geballe T. R., & Boissel P., PAHs as the carriers of the 3.3 and 3.4 µm emission bands, Planet. & Space Sci 43 (1995b), 1189. Joblin C., Boissel P., Léger A., d'Hendecourt L., and Défourneau D., Infrared spectroscopy of gas-phase PAH molecules II. Role of the temperature, Astron. & Astrophys. 299 (1995c), 835. Salama F., Joblin C., and Allamandola L., Neutral and ionized PAHs. Contribution to the interstellar extinction, Planet. & Space Sci. 43 (1995), 1165. Salama F., Joblin C., and Allamandola L., Electronic absorption spectroscopy of matrix-isolated polycyclic aromatic hydrocarbon cations. II. The phenanthrene cation (C14H10) and its 1-methyl derivative, J. Chem. Phys. 101 (1994), 10252. Geballe T., Joblin C., d'Hendecourt L., Jourdain de Muizon M., Tielens A.G.G.M., and Léger A., Detection of the first overtone of the 3.3 µm band in IRAS 21282+5050, Astrophys. J. 434 (1994), L15. Joblin C., d'Hendecourt L., Léger A., and Défourneau D., Infrared spectroscopy of gas-phase PAH molecules I. Role of the physical environment, Astron. &Astrophys. 281 (1994), 923. Léger A., d'Hendecourt L., and Joblin C., Present situation in the identification of polycyclic aromatic hydrocarbons, Adv. Space Res. 13 (1993), 473. Ehrenfreund P., d'Hendecourt L., Joblin C., and Léger A., Visible absorption bands of coal pitch. Implications for the Diffuse interstellar bands, Astron. & Astrophys. 266 (1992), 429. Joblin C., Léger A., and Martin P., Contribution of PAHs to the interstellar extinction curve, Astrophys. J. 393 (1992), L79. Joblin C., Maillard J.P., d'Hendecourt L., and Léger A., Detection of diffuse interstellar bands in the infrared, Nature 346 (1990), 729.